A gorgeous personalised card to congratulate a new Grandparent on the birth of a Grandchild. This card is left blank inside for you to write your own message, or you can opt to send the card direct to the recipients and we will neatly hand write the message for you. 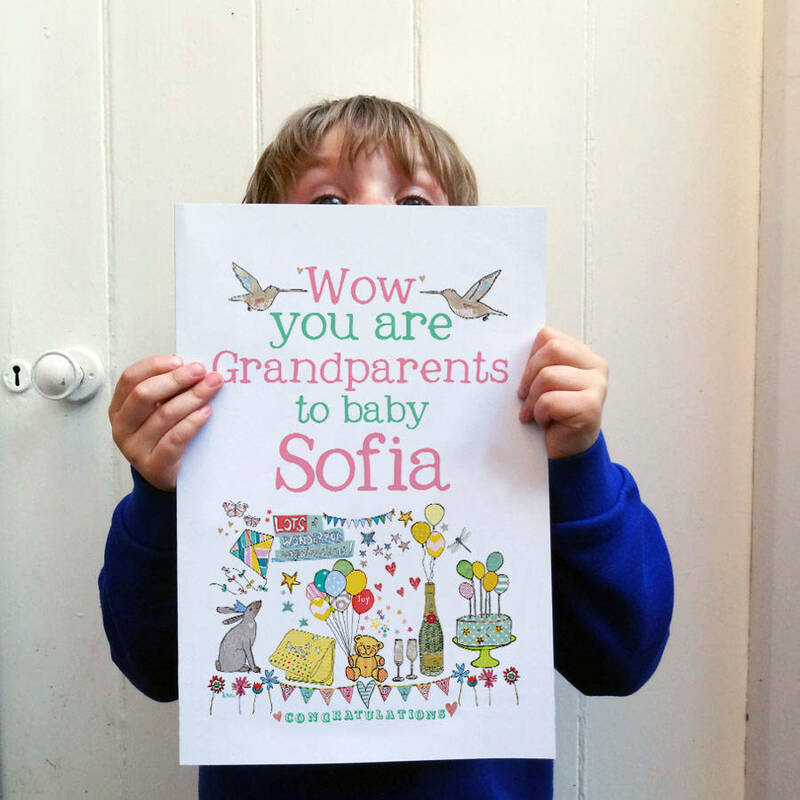 This lovely card is a personal and special way to celebrate being grandparents! Printed in England on quality uncoated recycled post-consumer FSC board and comes with a grey steel 100% FSC recycled envelope.